Leadership in Energy and Environmental Design, or LEED, is a building certification process developed by the U.S. Green Building Council (USGBC), a non-profit organization (not a government agency) headquartered in Washington, D.C. The USGBC developed the LEED certification process to enhance environmental awareness among architects and building contractors, and to encourage the design and construction of energy-efficient, water-conserving buildings that use sustainable or green resources and materials. The LEED certification process uses a point system to determine the environmental merits of a building; there are different rating systems for homes, commercial buildings, interior renovations, schools, neighborhood developments, and other construction projects. 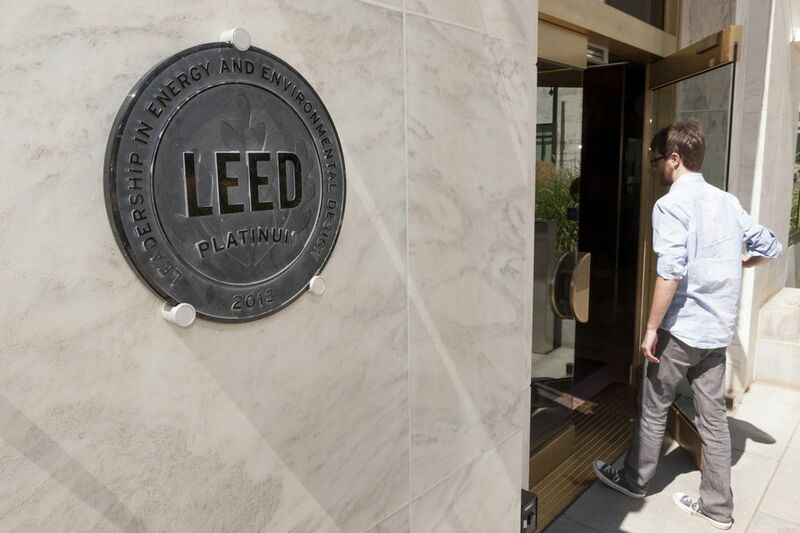 Since its inception, the point system and many other parts of the LEED certification process have been dogged by criticism from architects, building contractors, and environmental activists. Many have claimed its value as a marketing tool trumps its use as a green-building evaluation system. Others have complained that it has too many loopholes to merit serious consideration and that the certification process is cumbersome, wasteful, and ineffective at achieving true green credibility. As a result, the USGBC has continued to streamline and modify the LEED certification process.